IF(?) driven carefully quite economical too. Keep an eye open for water leaks in the boot area, sometimes it comes in through the spoiler fixing bolts and/or rear lights! Very nice ST in the best colour. 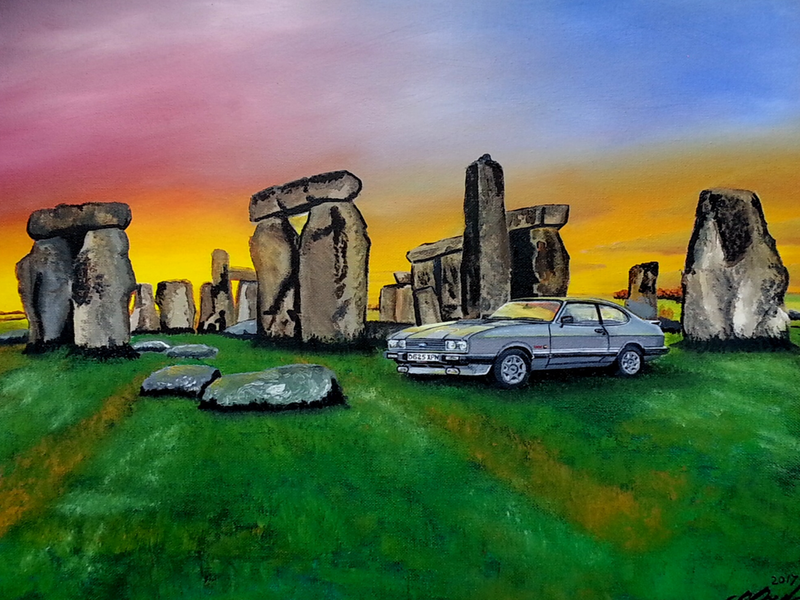 Good to see that your son has listened to your incessant nagging and finally bought a Ford! Andrew 2.8i wrote: Very nice ST in the best colour. Runs in the family! Your daughter's got a Ford as well hasn't she? I seem to remember you saying something about a Ka some time ago. The RS, with basically the same 5 pot engine (albeit lower compression and a marginally different cam profile) puts out way more, so the ST can certainly be tweaked. A few years ago earlier, if anyone had suggested to me that Ford's fastest medium sized car would one day have a Volvo engine with an odd number of cylinders I'd have thought them certifiably insane. Now it just seems one of the sanest fairly recent decisions Ford made. Ive recently helped rebuild an engine on an ST 225 and took the precaution of getting the pistons, con rods and crank balanced and fitting stainless shims between the cylinder liners. Those mods are regarded as making the engine safer to map to 300+ bhp. Without them the safe limit is generally accepted to be 275 bhp, mainly because of the fear of the liners moving and hence cracking at sustained high rpm. It still does though seem an awful lot for a front wheel drive car. Complex damn engine to work on. Change the oil more regularly than Ford state, particularly if it has been used for short runs. Better still flush it through with some flushing oil during the oil change. She killed the Ka Andrew..... Both my daughters have Fiat 500's now, which is basically a new Ka and is actually quite a nice car to drive. Well Andy that is so true. I drove the car last night and this one is definately pulling at least 275 BHP and I believe the torque figure goes up beyond 400Nm even with a stage 1 remap. The tyres are constantly fighting for grip even as your hitting 80mph. Its mental, I haven't driven anything that feels so quick since I rode sports motorcycles! It is too much really, but unbelievably exciting. Not_Anumber wrote: The RS, with basically the same 5 pot engine (albeit lower compression and a marginally different cam profile) puts out way more, so the ST can certainly be tweaked. My son had heard the liners can move. He said there is a mod that you can do when changing the cam belt. He's looking into this and will deffinately be changing the oil regularly! The oil that is in the car currently looks super clean and I suspect this engine has been well serviced throughout its life as there is a lot of service history with the car and it is a reasonably low mileage and low ownership car for its age. Very nice Neil, one of the few modern cars I can appreciate actually. And I like the way these cars have become part of a motoring enthusiasts world, many people being passionate about them. Those gates are good in front of the garage, gives double protection. 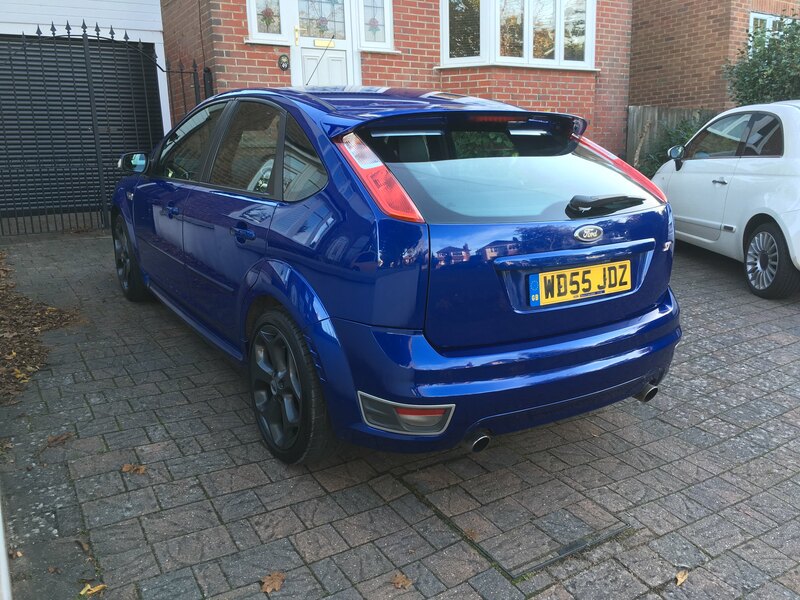 My Blue ST which I had a couple of years ago was a Code Red map to 265bhp on o/e equipment, but I put a bigger intercooler and catback exhaust on it and that flew. Look at the boost gauge when you floor it. If it goes to the max (1.5 bar iirc) it's had a map, if it goes to around 3/4 it's in standard tune. 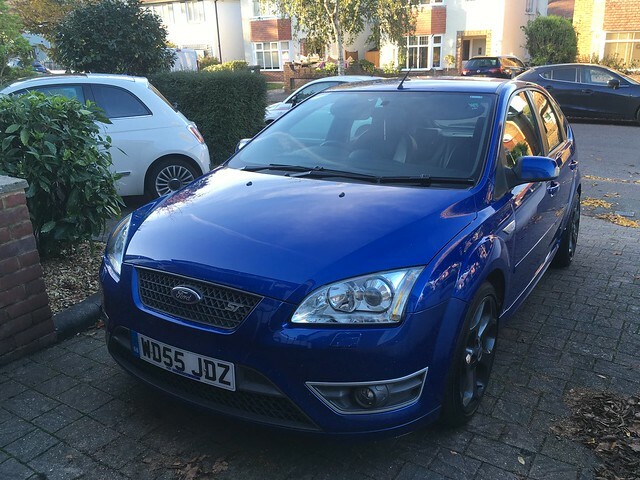 andyd wrote: My Blue ST which I had a couple of years ago was a Code Red map to 265bhp on o/e equipment, but I put a bigger intercooler and catback exhaust on it and that flew. Yeah the boost gauge goes straight to the max when you floor it Andy. There is no way this is how the car left the showroom. We'll get it rolling road tested and see what power its putting out, but I wouldn't be surprised if its around the 300BHP figure! Would be interesting to see what it is producing.